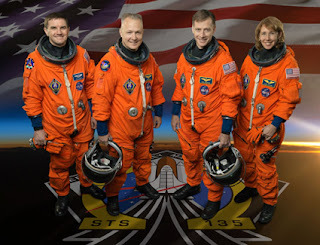 Get your image or name flown on NASA’s historic mission. The 135th and final space shuttle flight is targeted for launch on July 8, 2011. Atlantis will carry the Raffaello multipurpose logistics module to deliver supplies, logistics and spare parts to the International Space Station. The mission also will fly a system to investigate the potential for robotically refueling existing spacecraft and return a failed ammonia pump module to help NASA better understand the failure mechanism and improve pump designs for future systems. Print and save the confirmation page with your flight information. You will start getting certificates on 7/20/2011, so click here for certificates after 7/20/2011. I just want to tell you that I’m beginner to weblog and seriously savored this blog site. Very likely I’m want to bookmark your site . You absolutely come with impressive well written articles. Regards for sharing your website page. Are you going to follow up with this information?